The university experience is largely about finding yourself as an individual, but the bustling campuses of colleges are also the best locations to join a selection of weird and wonderful groups. In such groups, members are united in a common goal by particularly mundane or strikingly unusual pursuits. 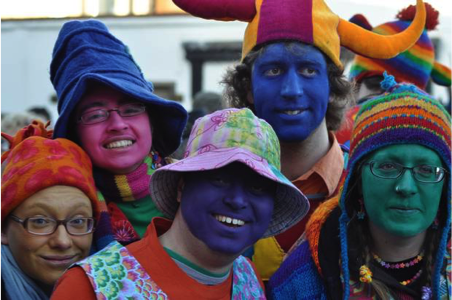 We’ve picked our five top unusual university groups and societies so you don’t have to witness the horror of typing “weird groups” into Google. The thing about those hippies is that they are always up trees. One of the more unnecessarily political active university groups, this club is unsettlingly passionate about supporting the university’s decision to cut down trees on the campus. The aforementioned ‘hippies’ object to the felling. The group have even stepped up their operations from battling tree-hugging hippies to taking on those hippies sitting pretty at the top of those battle-scarred trees. 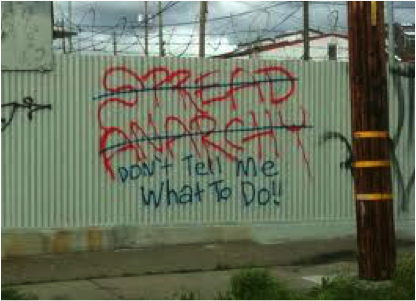 First rule of Anarchist Club? Question why we have created an organisation. University anarchist groups might be expected to be vigorously active, but this society mostly devotes itself to consuming radical literature together. Humans v Zombies is a society that has been set up in order to enable its members to experience a simulated zombie apocalypse. It is essentially a giant game of tag with a backdrop of students and campus buildings, where participants are split into humans and zombies. Humans can protect themselves from the zombie hoard with nerf guns and socks (everyone’s weapons of choice). Crucially, this society has confirmed that they will defend the campus if an actual zombie apocalypse breaks out! In this group you are assigned a target and you have to ‘kill’ them without being noticed. In fact, the club bio proudly declares that “membership requires skill, cunning and alertness. Some members turn into cool, calm, collected and ruthlessly efficient killing machines, whereas others become jibbering wrecks, torn apart by paranoia, lying awake at night huddled close to their excessive arsenal of destructive weaponry”.